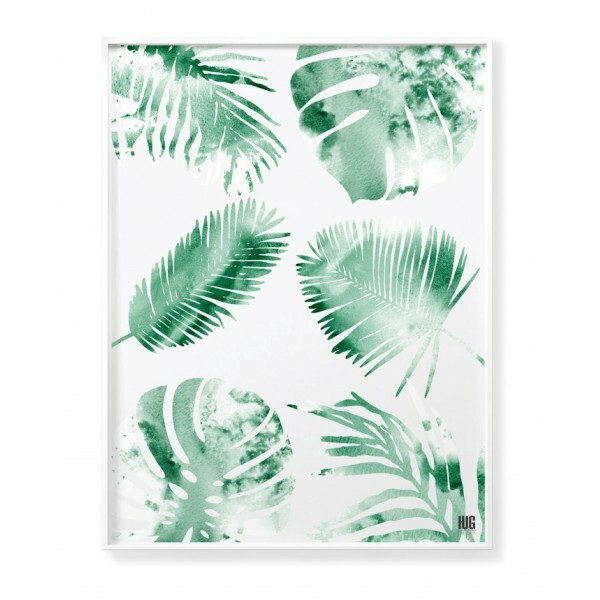 A poster with a tropical leaf motif. 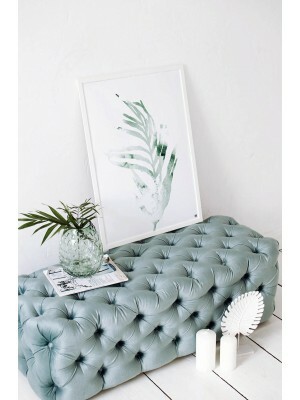 A delicate breath of exoticism in your interior. 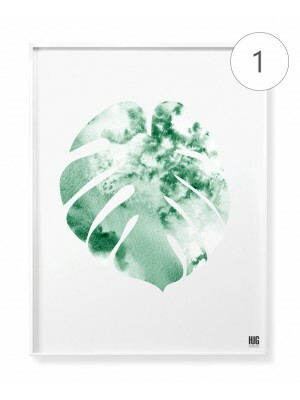 The illustration shows a painted watercolor leaves of monstera, palm, banana and sago. 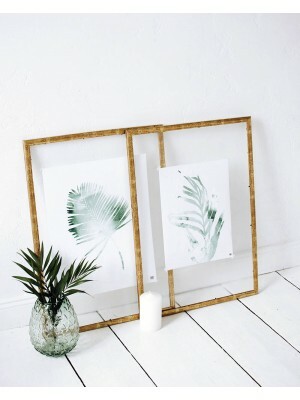 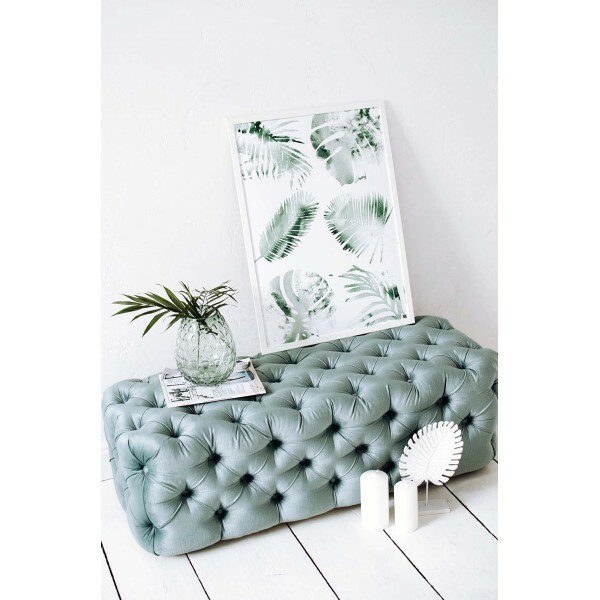 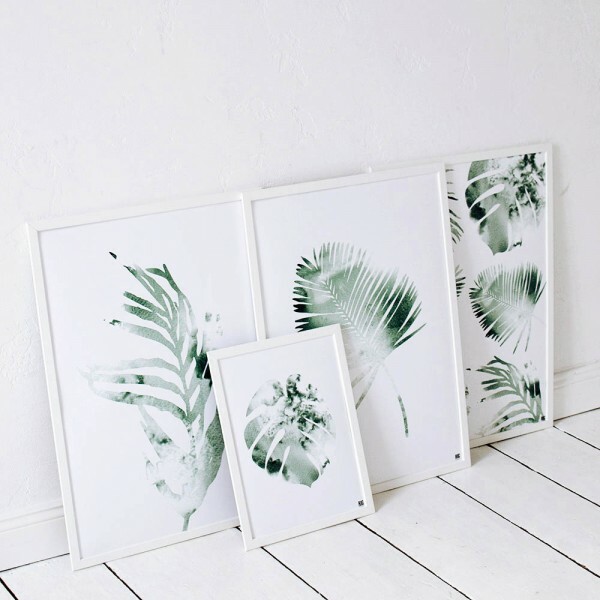 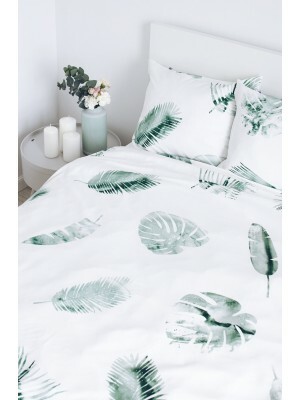 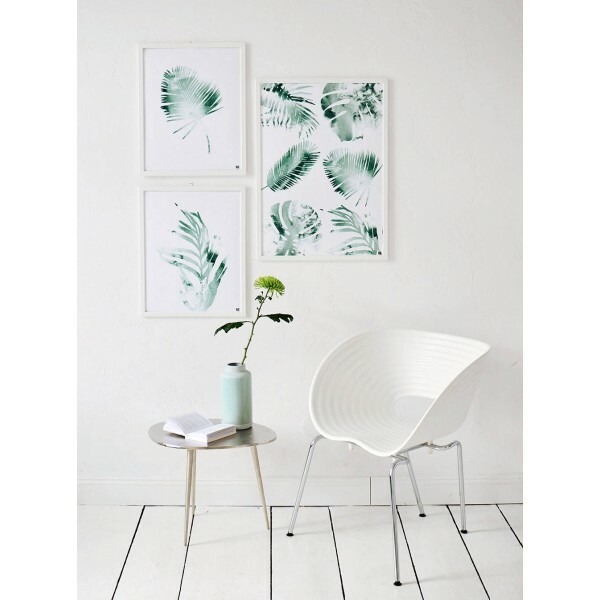 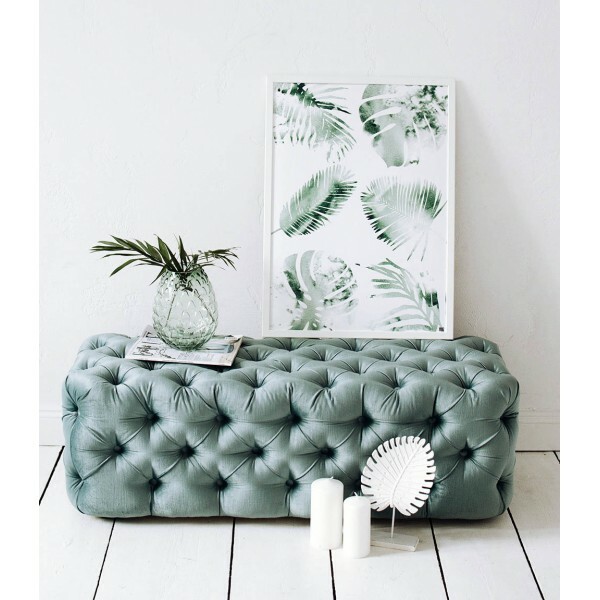 Tropical motifs work great in scandinavian, minimalist and modern interiors. 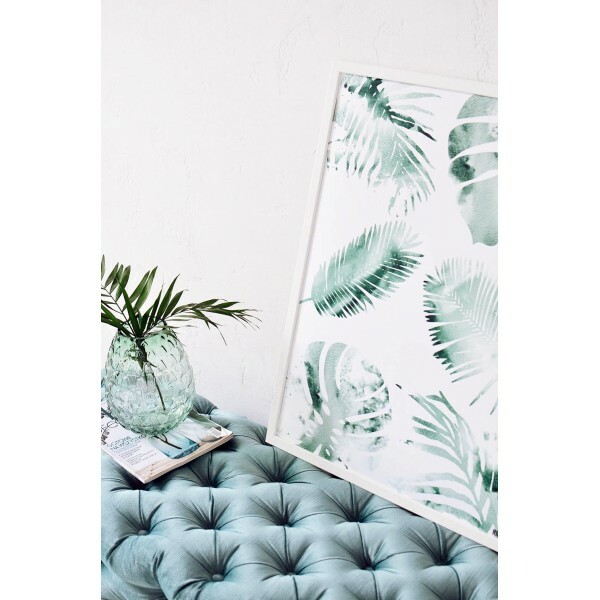 The graphics are an perfect gift for those who love exotic travels. 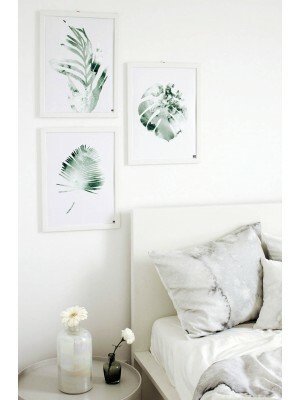 The poster fits perfectly with other plant posters from the same collection.